Global Drums is comprised of community members and university students who share a passion and interest for world percussion. Founded in 2005 with a group of four, Global Drums has grown to over 50+ members. Based in Lethbridge, Alberta, the group performs percussion music from around the world including, Steel Band, Polynesian Ensemble, African Drumming & Dancing, Japanese Taiko Group, Brazilian Samba Batteria and Classical Percussion Ensemble. Global Drums has an expansive collection of instruments from around the world. It is the only ensemble of its type in Canada and has quickly grown in international demand and notoriety. Performances include tours to Japan, Trinidad & Tobago, Europe, Hong Kong and multiple trips to Hawaii. Global Drums has also performed in the Calgary Stampede Parade, a nationally televised performance and two tours to the Gulf Coast Caribbean Festival in Florida. Members of the ensemble have additionally participated in competition and conferences in Germany, Texas, Ohio, and Indiana. 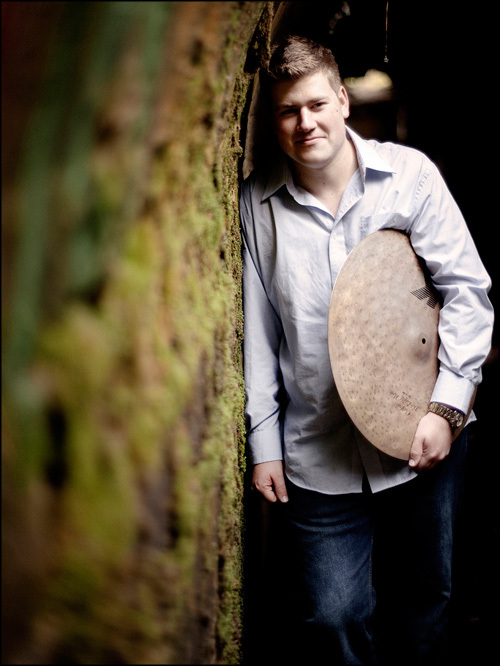 Adam Mason serves as Director of Percussion at the University of Lethbridge in Alberta, Canada. There he founded the U of L Global Drums Percussion Ensemble, which has toured in Japan, Hawaii, Florida, Texas, Ohio, Indiana, Vancouver and throughout Western Canada. In 2012 Global Drums will be performing in Trinidad and the following year in the Netherlands. Global Drums includes the African Drum & Dance Ensemble, Steel Band, Taiko Ensemble, Brazilian Samba Batteria, Classical Percussion Ensemble and Polynesian Ensemble. Professor Mason is an active clinician and adjudicator having performed or presented in nearly every state in the United States, across Canada, Yokohama and Aomori Prefecture, Japan in 2009, the 17th Annual Honolulu Festival in 2011 and the Percussive Arts Society International Convention in 2003. Adam Mason studied African drumming and dancing at the University of Ghana in Accra in 1997. He received his Bachelor of Music, Performance and Master of Music, Education at West Virginia University where he studied with Phil Faini and David Satterfield. He also studied with Dr. John Raush at Louisiana State University while serving as principal timpanist with the Acadiana Symphony Orchestra and Director of Percussion Studies at the University of Southwestern Louisiana. Professor Mason is the Alberta PAS Chapter President and is a former instructor for the 11 Time World Champion Cadets of Bergen County and Phantom Regiment Drum & Bugle Corps. He previously served as Director of Percussion and Associate Director of the World Music Center at West Virginia University in Morgantown, WV. Mr. Mason is an endorser for Vic Firth Sticks, Inc. Zildjian Cymbals and Remo. Joe Porter is a Canadian percussionist, teacher, and composer. He teaches at the University of Lethbridge Music Conservatory, where he directs many ensembles, world drumming classes, workshops, and lessons. Joe is the recipient of the Global Music Awards, Gold Medal Prize for Creativity and Originality, and has been a winner in multiple concerto and recording competitions. Joe is an active international clinician, and has given masterclasses and clinics around the world. Recent workshops have included: Gu Dong-Guo Yin International Percussion Festival and Shenyang International Percussion Festival in China, Universidade Federal do Rio de Janeiro in Brazil, Hong Kong Baptist University, Royal College of Music and Birmingham Conservatoire in England, University of Hawaii, and the PAS China, Hawaii, Hong Kong, Iowa & Alberta Chapters Days of Percussion. He is the author of two method books: Six-Mallet Technique Diversified, a comprehensive book and DVD to learn six-mallet marimba technique, and The Journey To Groove, a comprehensive method for developing the drum set musician. As an active composer and performer, Joe has written three percussion concertos, many solos, duets and ensemble pieces. He has performed in Britain, Holland, Japan, China, Hong Kong, Brazil, Trinidad and Tobago, and throughout the US and Canada. Joe has been a concerto soloist with orchestras in the US and Canada and a featured soloist with percussion ensembles around the world. In 2014, Joe was featured in the PASIC International Showcase Concert. In 2016, he was chosen from the world’s top percussionists to be in the World Percussion Group where he toured across the US giving clinics, masterclasses, concerts and a showcase concert at PASIC 2016. Joe has released three albums which have been aired on radio stations in North America and Europe. Joe is a Ludwig-Musser, Innovative Percussion, Dream Cymbals & Gongs and Grover Pro Percussion artist.